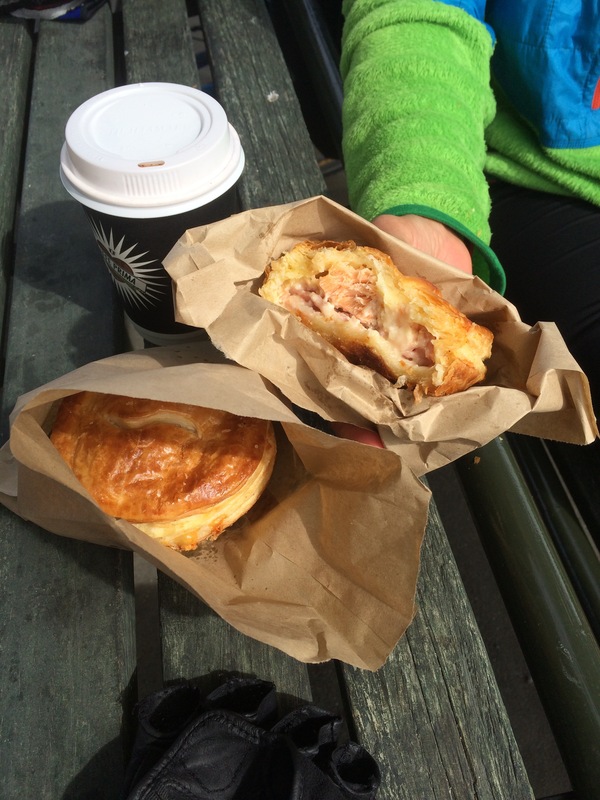 Dropping out of the high country to the delightful Farlie Bakehouse for a salmon and bacon delight. 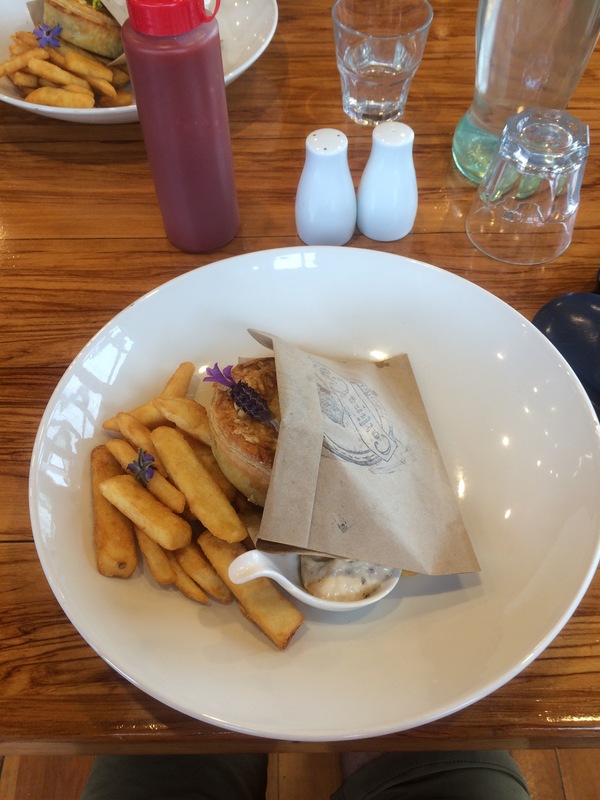 The first pie with fish. 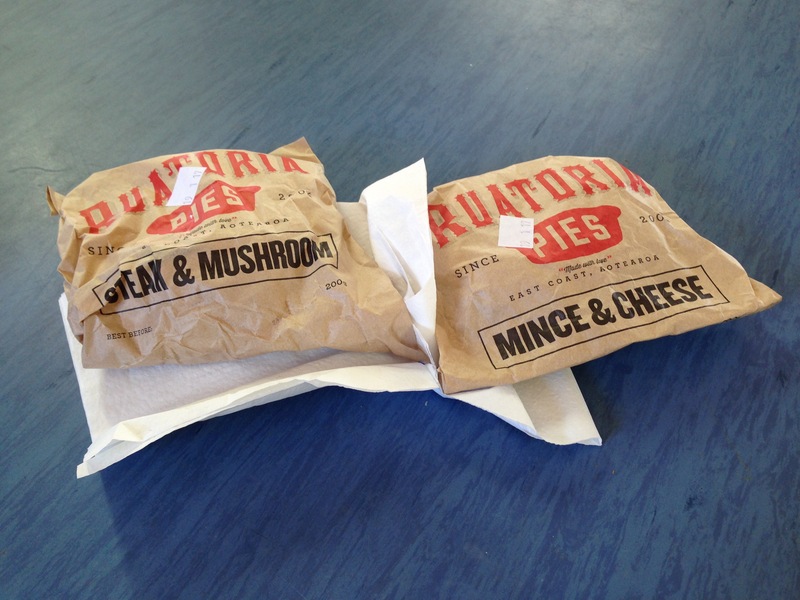 A homemade beef and cheese pie and one of the best we’ve eaten. I hesitate to write that New Zealand is starting to edge Australia but the margins are tight and my memory poor. 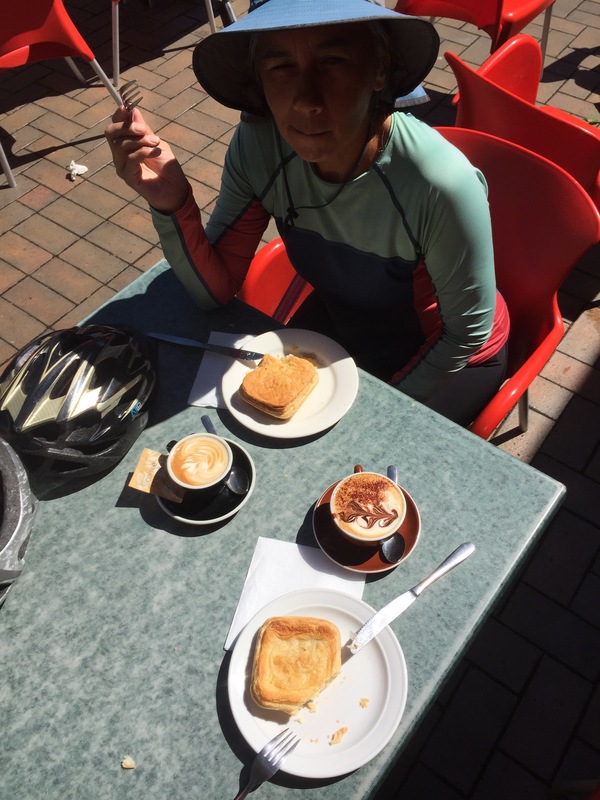 A Saturday lunch at the Westina Frog Cafe and Bar on the road through the Catlins Forest Park to Balclutha. A wet day but beautiful riding surrounded with bird song, tall trees and no traffic. Back on the road again and this filthy thing winked at me. Kingston, central Otago. 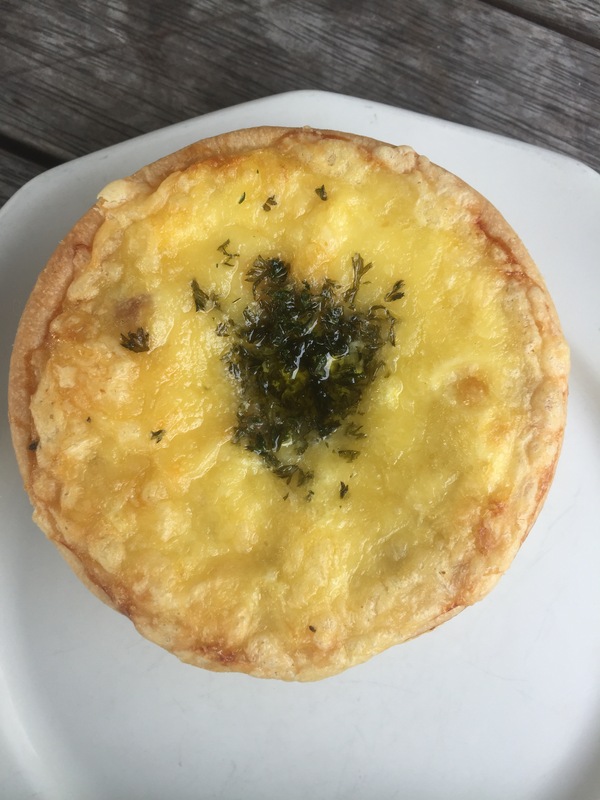 A big breakfast pie from Mapua Village Bakery layered as follows – beef, homemade beans, bacon, an egg, and cheese topping with herbs. It is a contender! 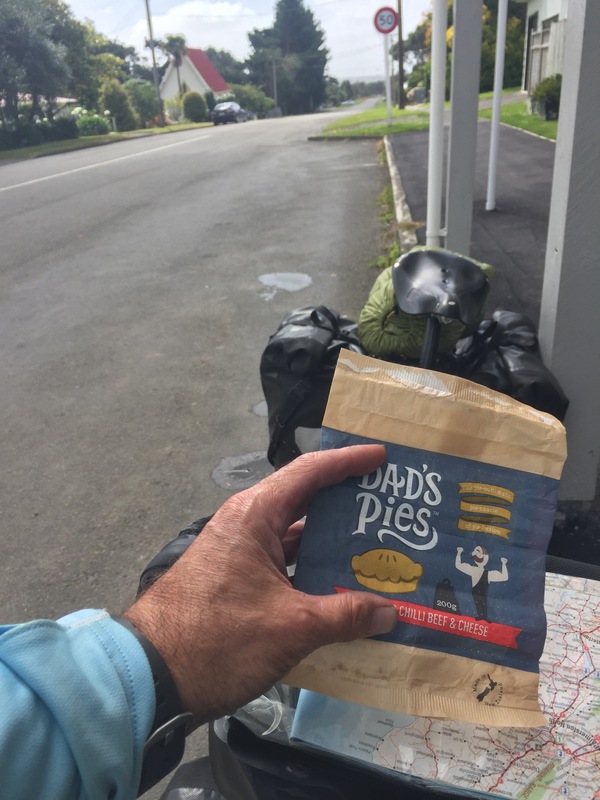 All that remains is the paper bag of the surprisingly tasty pie, an Angus beef, chilli and cheese combination, as we refuel on our way to the town of Levin at Tokomaru on the SH57. 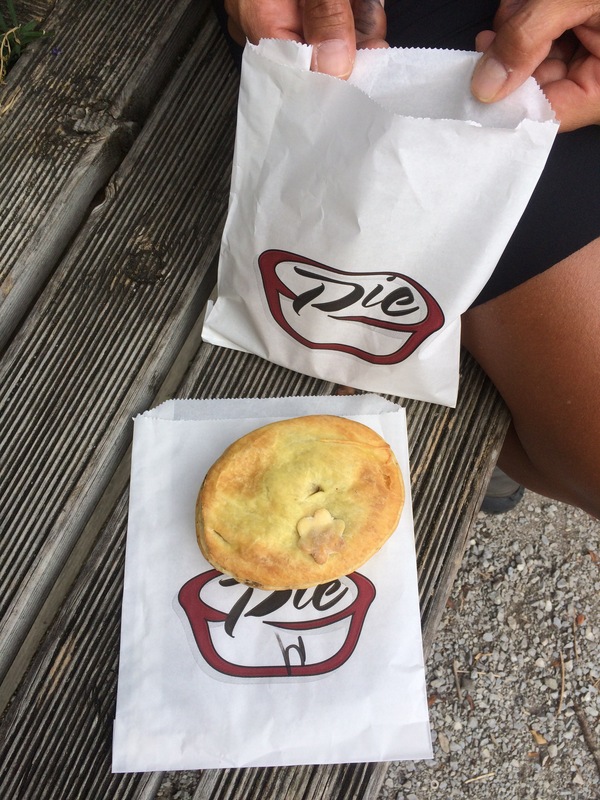 A couple of egg and bacon pies in Havelock North. 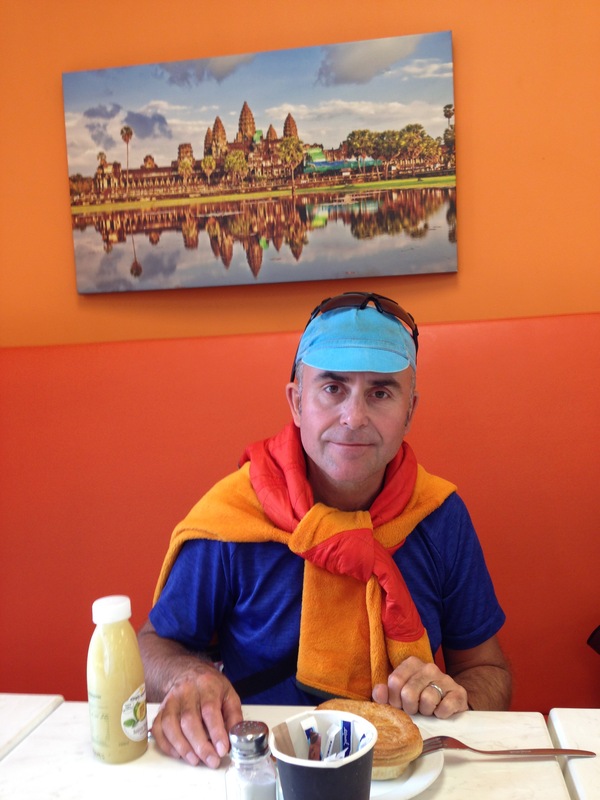 A beef and cheese in Napier at the Angkor Wat Kiwi Bakery. 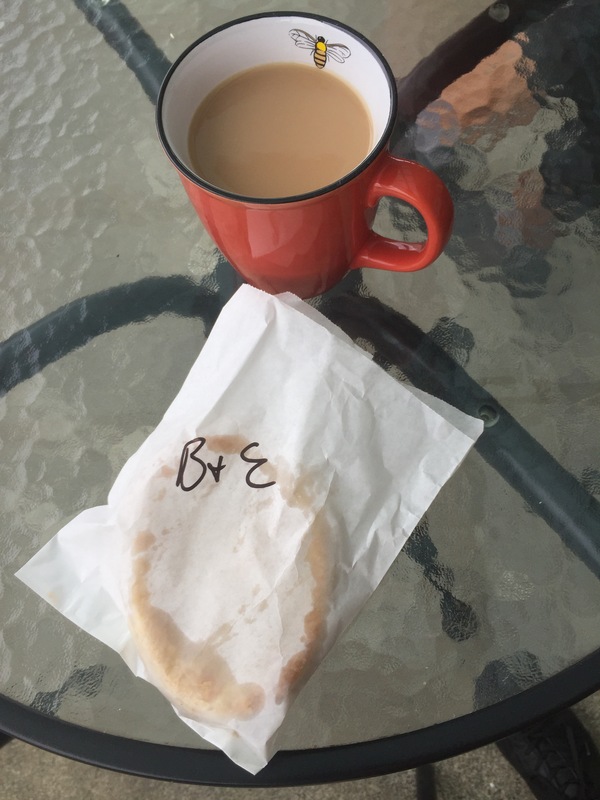 From the RSA in Tikitiki. 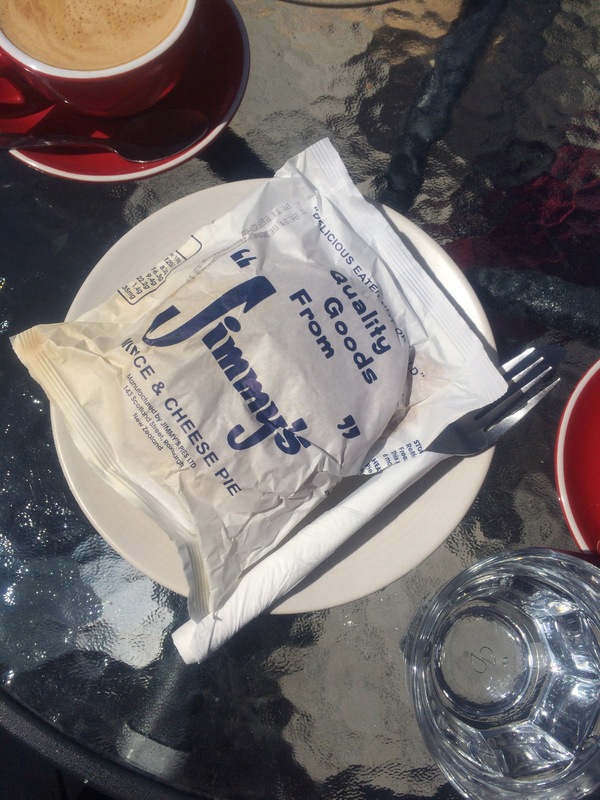 A bacon and egg delight in Omaio, along the Bay of Plenty, New Zealand’s north island.